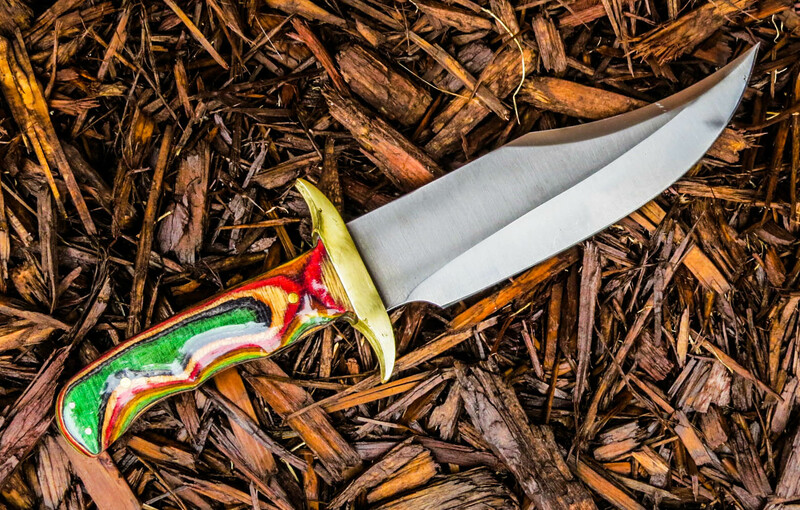 Hunting Knives | Hal "Gonzo" Gonzales, Jr. - "The Knifemaker"
How Do You Choose a Hunting Knife? 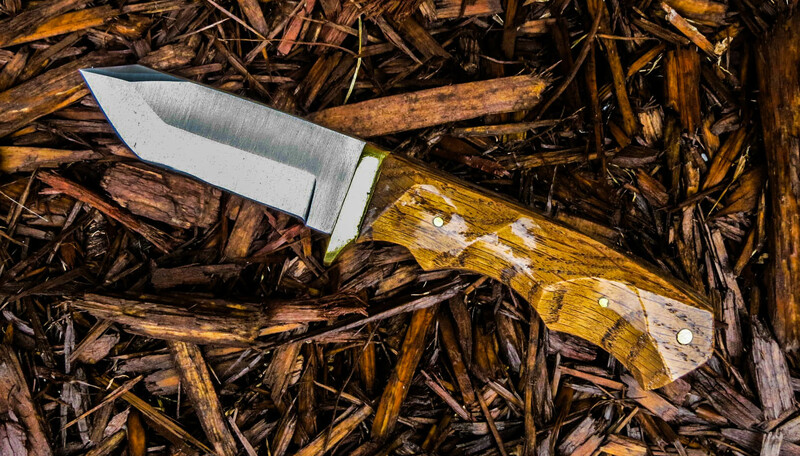 A quality huntin­g knife is versatile enough to do everything the average hunter needs — from skinning the animal to splitting through its ribcage and bone. 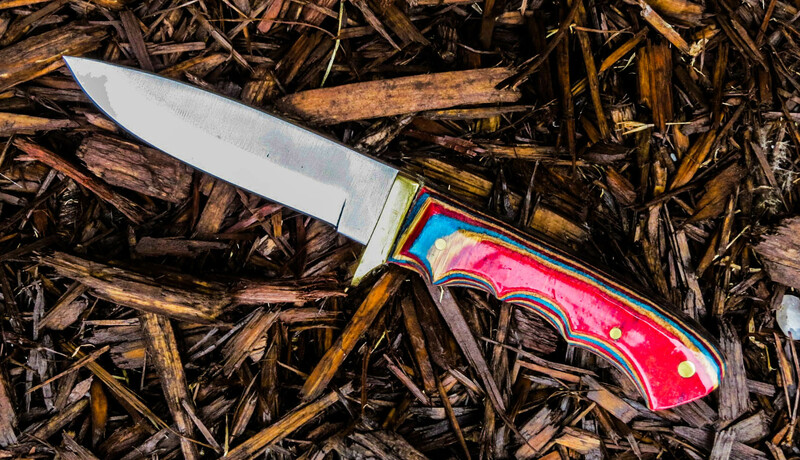 When you’re choosing a hunting knife, it’s important to consider how you’ll use it and the type of game y­ou plan to hunt. 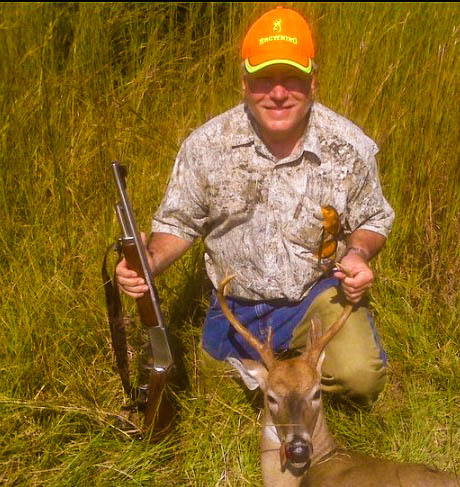 Clearly, the big game hunter will use a different type of knife than someone who hunts rabbits. And, if you think bigger is always better, you’d be wrong. 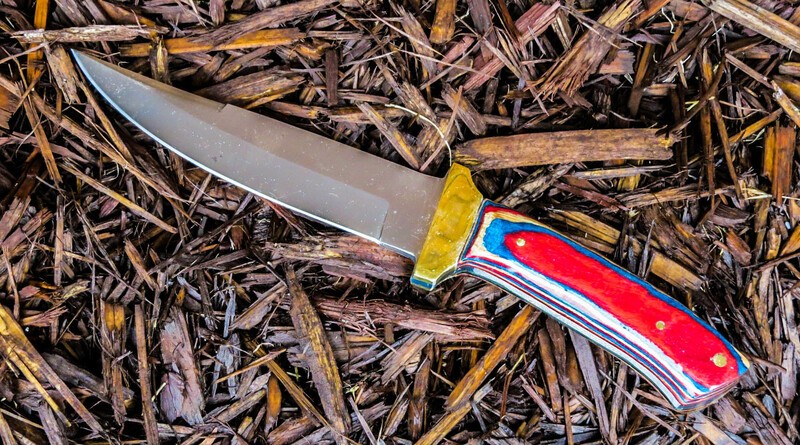 An oversized knife will make cleaning small game harder, not easier, and increase your chances of cutting yourself. 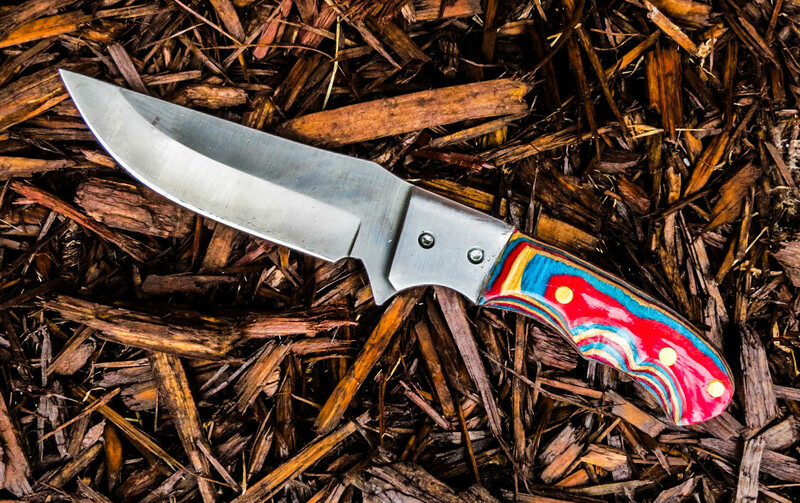 Once you’ve determined what size knife you want, consider how often you hunt. 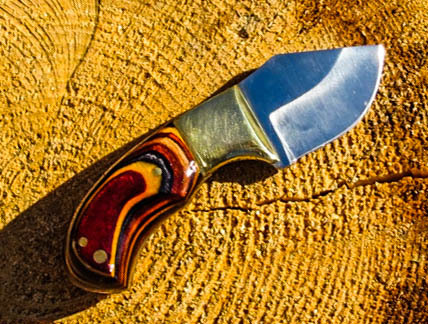 If you only hunt occasionally and you want a knife that can be used for a variety of purposes, you may want a smaller folding blade knife. 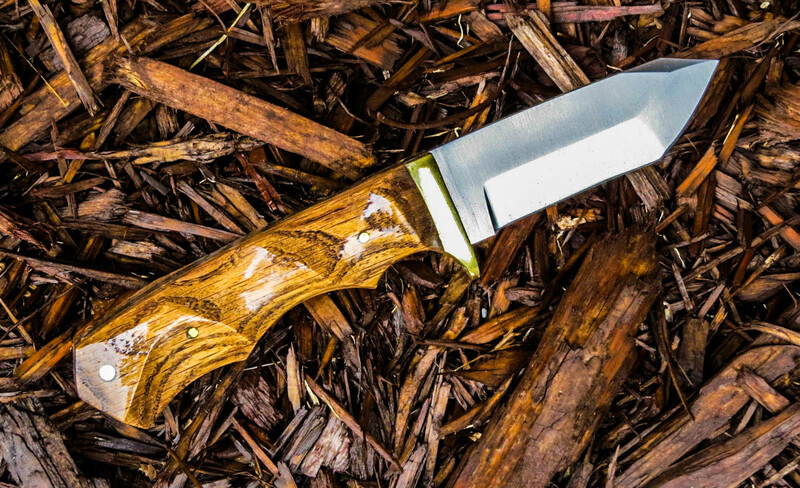 If you’re a dedicated hunter and plan on using your knife only for hunting, a solidly-built fixed blade knife may make more sense. ­Next, you’ve got to decide whether you want to carry your knife in a sheath or keep it in your pocket. It’s obviously not a good idea to carry a large fixed blade knife in your pocket — unless you want to slice open your leg. And, as always, your budget is an important consideration as well. 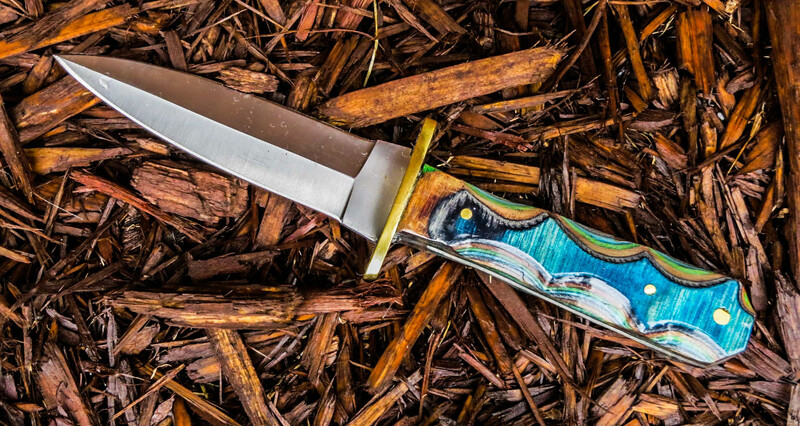 Hunting knives are available in a wide variety of prices, and you want to get the best knife possible for your money. 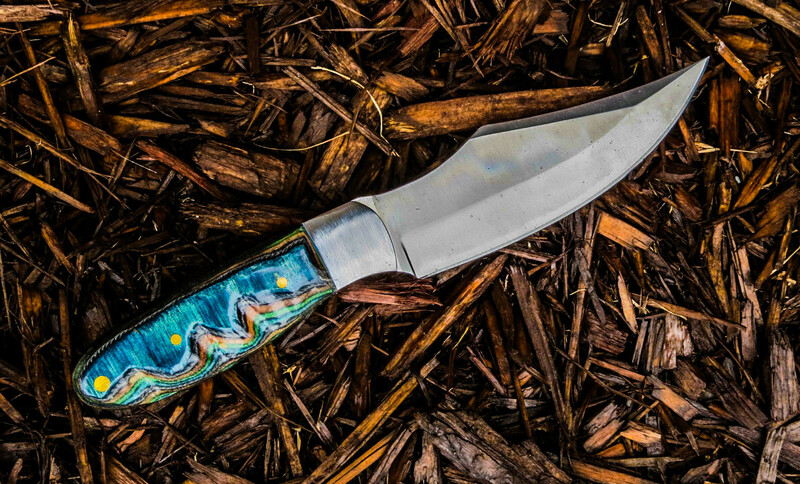 Fortunately, no matter what type of knife you choose, it’ll be capable of handling most hunting duties.For information about these knives, contact Gonzo at 51gonzo46@gmail.com. Click on images to enlarge view. 1. No longer available. 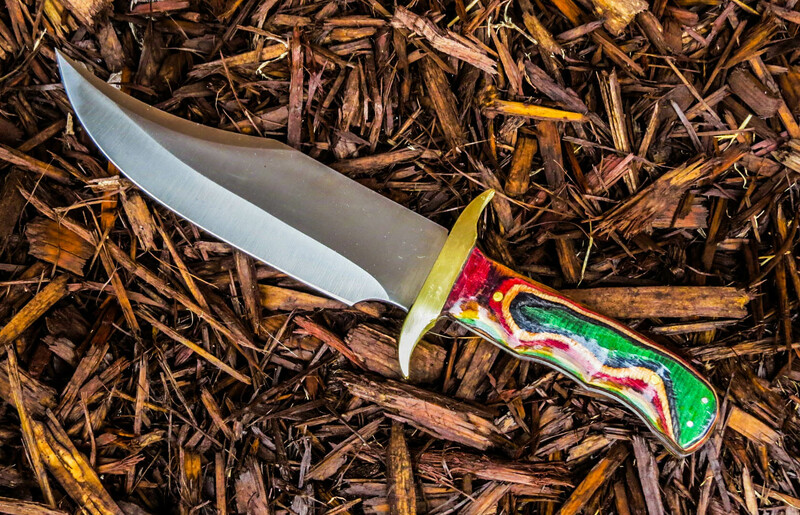 Knife Blade Giant Hunter Knife, 10 inch blade. 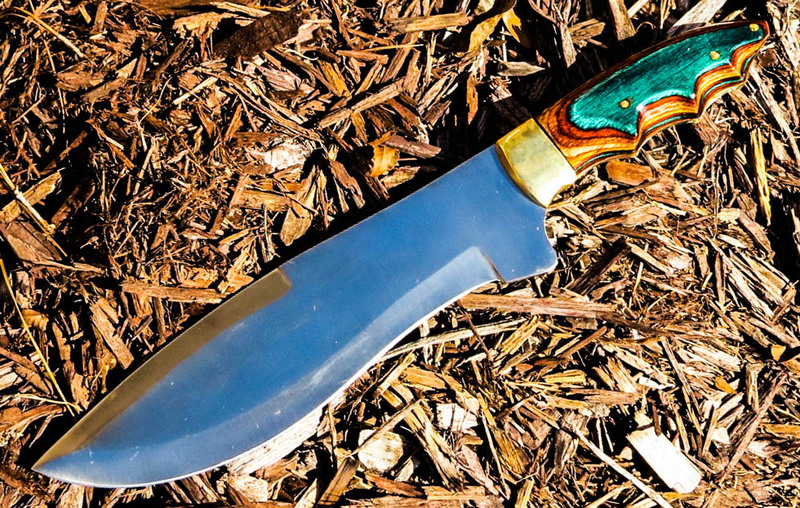 Full tang, brass bolster, Dakota Dymondwood handle, item weight 1.3 pounds, total length 15 inches. 2. No longer available. 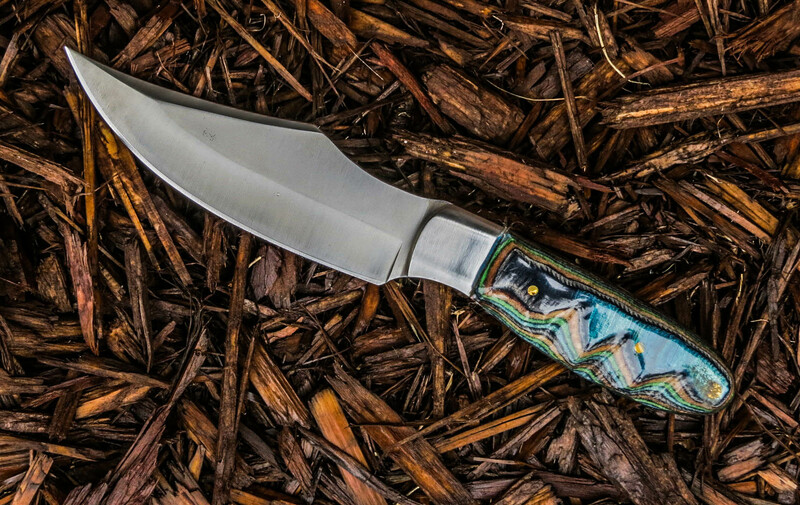 Full Tang Guthook Blade Knife length 4 3/4 inches. Stainless steel construction, slightly sharpened edge, multiple rivet holes, attached brass guard, Dymondwood handle, item weight 0.3 ounces, total length 4 3/4 inches. 3. 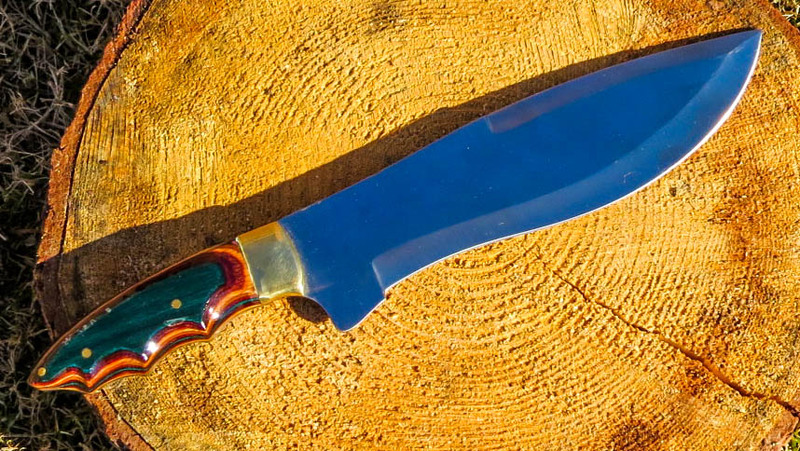 No longer available Full Tang Stubby Skinner Blade Knife. Stainless steel Short Skinner 2 1/8 inch blade. 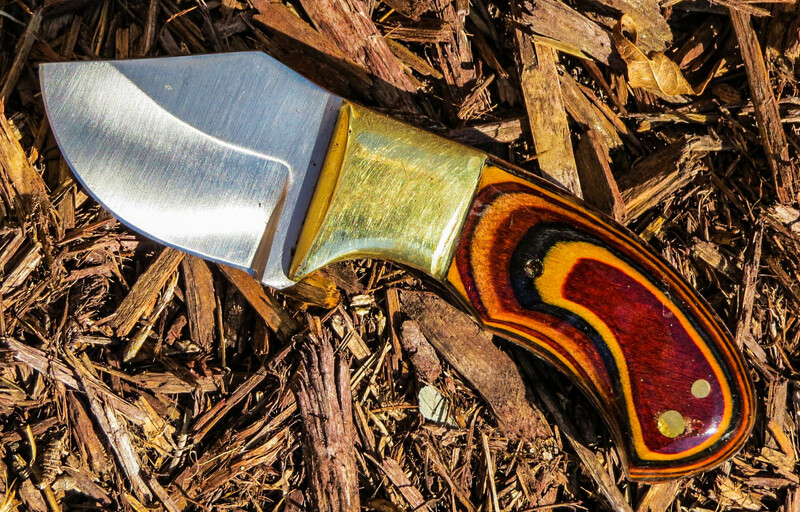 Full tang, brass guard, Dymondwood handle, total weight 7.4 ounces, total overall length 5 5/8 inches. 4. 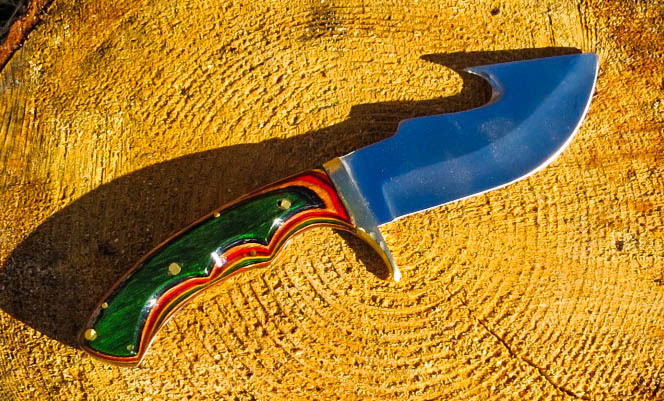 No longer available S446 Knife Making Blank Texas Satin Skinner Knife. 9cr14MoV Stainless; Overall Length 8 1/2″; Cutting Edge 3 3/4″; Thickness 4mm; Heat Treated Rc 57/58; Hand-carved Dymondwood Handle. 5. 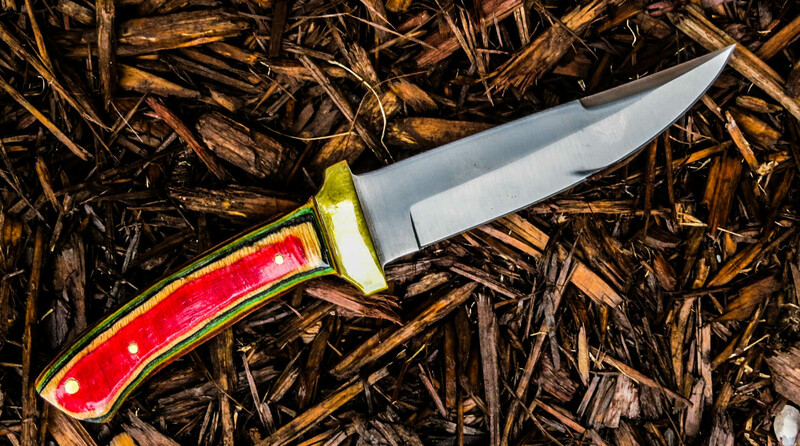 Szco Supplies Boot Blade Hunting Knife; 8.5 inches overall length; 4.5 inch blade length; 4 inch tang length; Stainless steel construction; Brass guard; Hand-carved Dymondwood Handle. 6. No longer available. Szco Supplies Double Edge Blade Hunting Knife; 8 inches overall blade; 4 inch blade length; 4 inch tang blade; Stainless steel construction; Brass guard; Dymondwood Carved Handle. 7. No longer available. 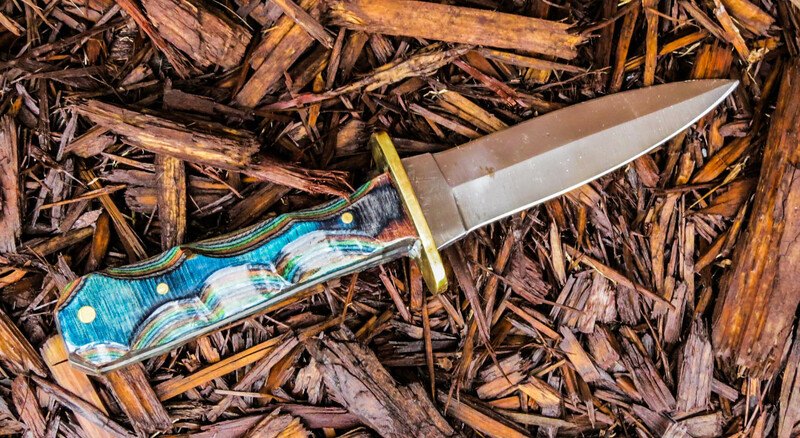 Szco Supplies Tanto Blade Hunting Knife. 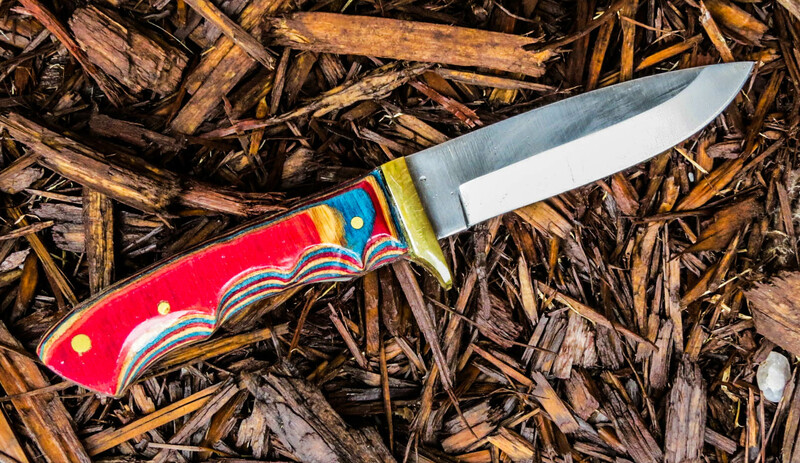 7.75 inches overall length; 3.5 inch blade length; 4.25 inch tang length; Stainless steel construction; Brass guard; Oak Hand-carved Handle. 8. 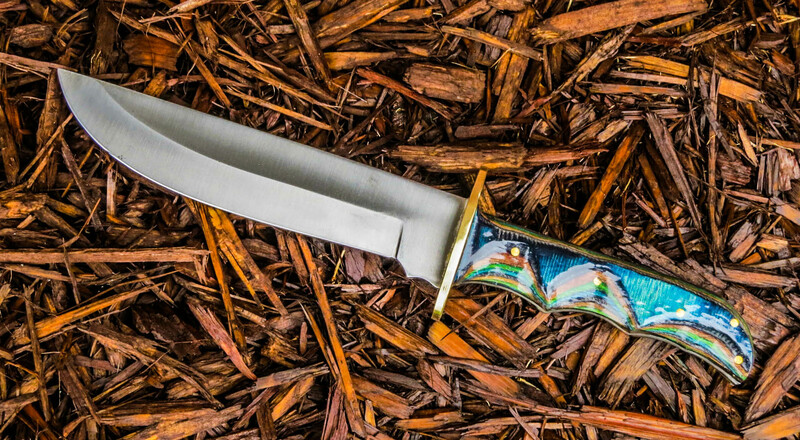 Szco Supplies Swedged Bowie Blade Hunting Knife; 10 inches overall length; 5.5 inch blade length; 4.5 inch tang length; Stainless steel construction; Brass guard; Hand-carved Dymondwood handle. 9. 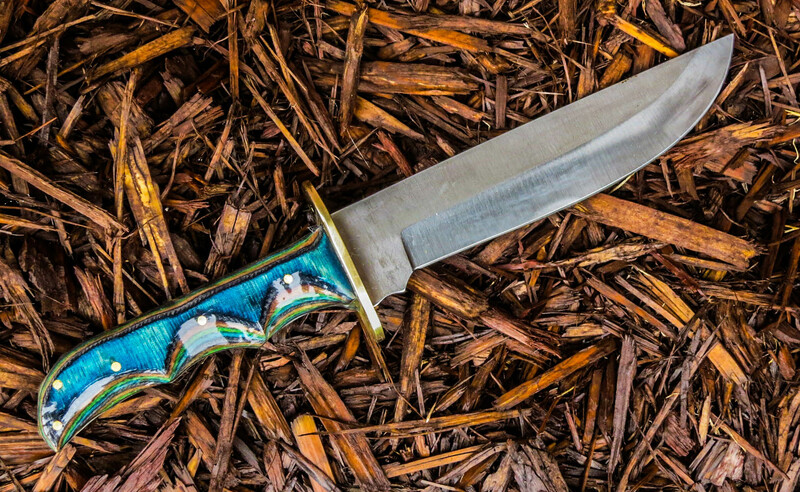 S41 Knife Blank Geronimo Skinner. 9cr14MoV Stainless; 9 1/4″ Overall; 4 3/4″ Cutting Edge; Attached Bolsters; 2 – 5/32″ pin holes; Hand-carved Dymondwood Handle. 10. Szco Supplies Clip Point Blade Hunting Knife; 8 inches overall length;4.25 inch blade length; 3.75 inch tang length; Dymondwood Hand-carved Handle. 11. Szco Supplies Hunter Blade, 12-Inch; 12 inches overall length; Blade length is 6.25 inches; Stainless steel construction; Brass guard; Full tang Design, Dymondwood Handle. Disclaimer: All handles are made of natural wood grains which have imperfections in them. 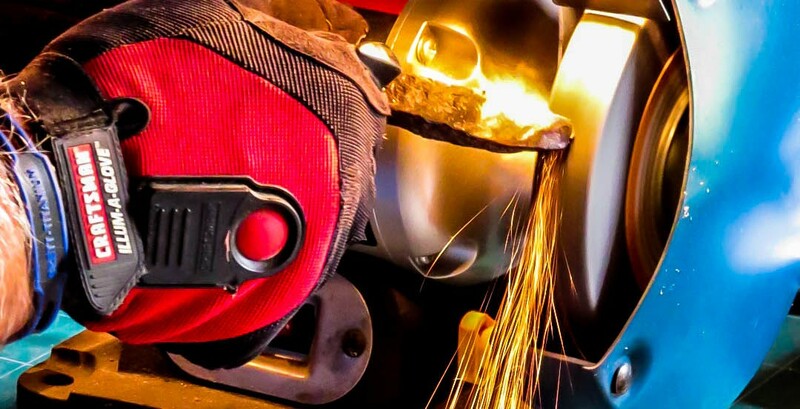 Handles are adhered to blades using glue and pins; they are not machine manufactured. Some blades may also have imperfections though machine manufactured. Source: Amy Hunter, How Stuff Works. 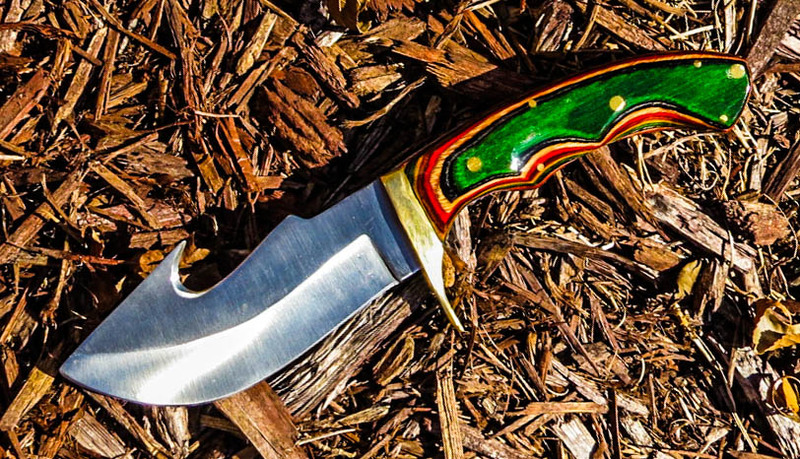 Pingback: What Type of Knives Do Hunters Use? 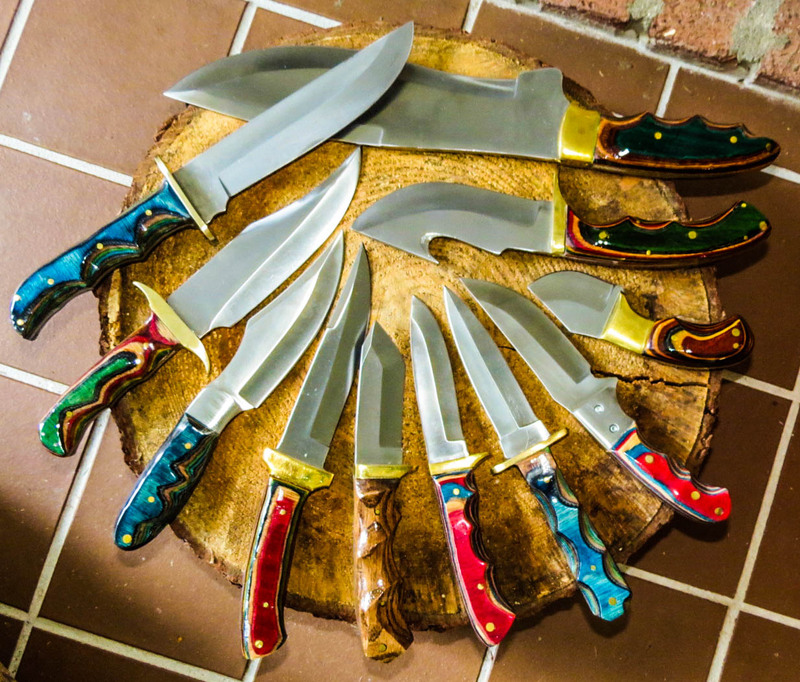 | Hal "Gonzo" Gonzales, Jr. - "The Knifemaker"
Pingback: Hunting Knives Galore! 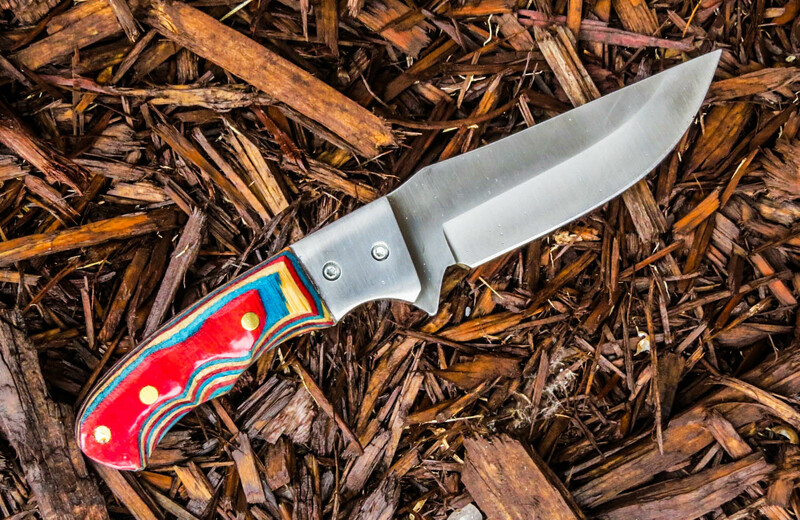 | Hal "Gonzo" Gonzales, Jr. - "The Knifemaker"